During my parents’ last visit, my dad commented about his latest visit to the eye doctor. He’d been experiencing some blurred vision and assumed it was a natural progression of cataracts that the doctor had warned him about previously. To check the condition of his eye the doctor inserted dye into his arm. Huh? I’m still shaking my head over that one. But apparently the veins rocket the dye fairly quickly throughout the body. For someone who rarely made trips to the doctor and never saw the miracle of watching his kids develop via sonogram, my dad was amazed at the process. His diagnosis wasn’t the original cataracts that he suspected, but something a bit more serious that will require more medical attention. Most days, I take for granted that my body functions properly. Why is that? Why shouldn’t I be more in awe of my Creator’s intricate design? I mean, really. My heart’s basically a pump, shooting blood, which carries vital materials to the places that need it. When it shuts down, my body won’t survive for long. My brain sends signals to my legs or arms to move when I want them to. It’s divided into sections or lobes. Lobes are each responsible for different tasks like motor function, sensation, memory, and visual processing. And the eye? The eye converts light into energy, then transmits neurological signals to the brain. Awesome, huh? 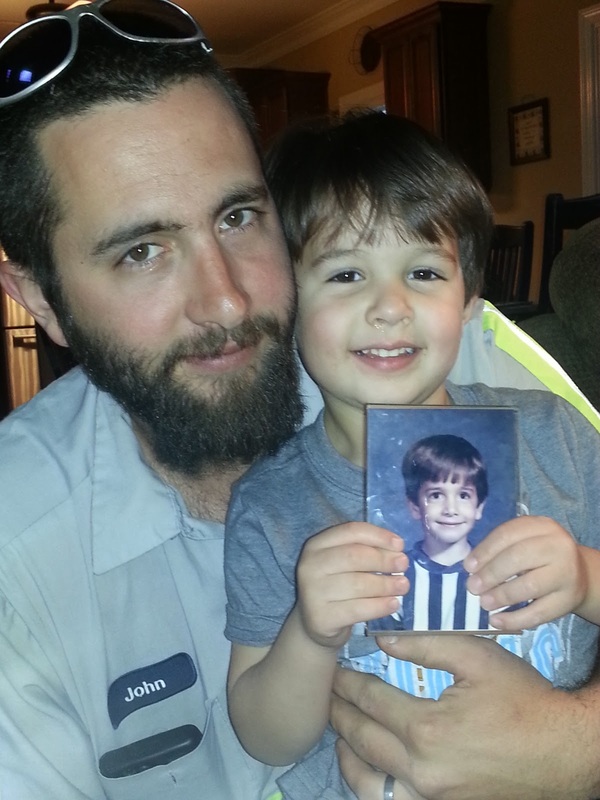 <<—-And now Little Man is almost three, holding a picture of his daddy who was just a couple years older than he is now. I could keep going, but you probably get the idea by now. Do you think this happens by accident? Do you ever contemplate how each individual part of your body works together as a whole unit? God, I know I don’t thank You nearly enough for the proper functions of my body. Thank You for designing us so intricately that we can’t help but be drawn to You.